After the homophobic comments The Bachelor's Juan Pablo Galavis made over the weekend, he is now on a mission to make himself clear and apologize to anyone he may have offended. If you haven't been following the story, Galavis called gay people "more pervert in a sense" and spoke about how he doesn't think a gay Bachelor is a good idea. He then apologized on his Facebook page, but that didn't go over well either as he went on to say that gays are "too racy" for some television viewers to accept. 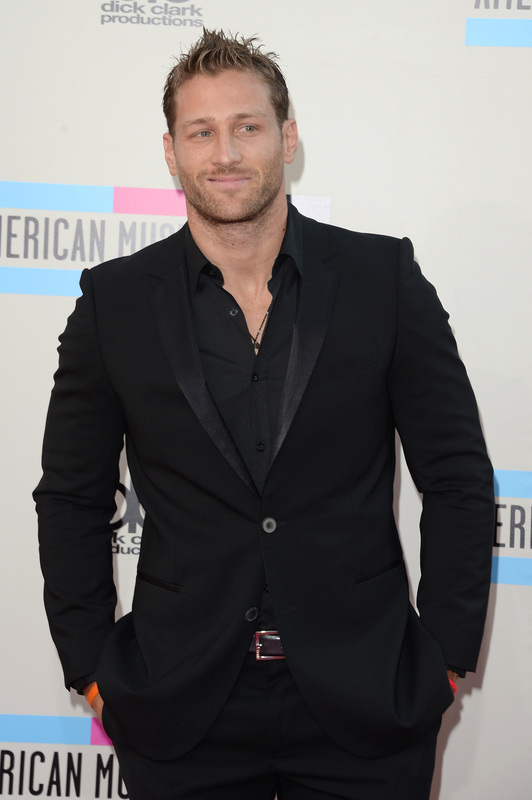 Now, Juan Pablo Galavis has apologized again and plans to meet with GLAAD. I have heard from many gay Latinos today who are hurt because of what I said and I apologize. I know gay parents and I support them and their families. They are good parents and loving families. I am a father and I know the feel of being a father, why wouldn't I want my gay friends to also be happy parents?I also want gay and lesbian youth to know that it is fine to be who you are. Gay or straight, Black or White, Latin or American, what matters here is to respect who we are.I look forward to meeting with gay and lesbian families as well as Monica and Wilson from GLAAD. Gay and lesbian people, and the children they are raising, wrongfully face discrimination and I want them to know that I'm on their side. It is a much better apology than the one he wrote on Facebook and it seems that he had some help this time with his English. Galavis will meet with Trasandes and other representatives from GLAAD as well as with Latino LGBT families and individuals in Los Angeles later this week. It already seemed that Galavis wasn't a hateful person, but rather someone who was ignorant and (somehow) unaware of their words being offensive. It looks like the outrage Galavis' insensitive words have caused might end up being a necessary shove in the right direction as far as Galavis gaining a better understanding when it comes to LGBT people and a better grasp of how his words impact the lives of others.